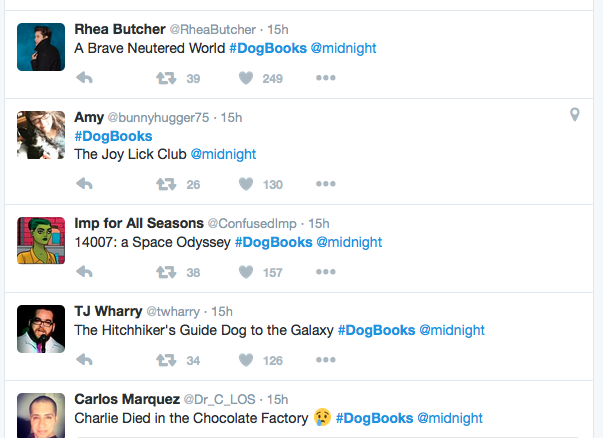 Midnight Rolls Out the #DogBooks ! If you’re going to buy just one dog book for the holidays, I’d heartily recommend Maira Kalman’s Beloved Dog. It’s a gorgeous, colorful, witty publication –– and all about the love of a good dog! And I’m not alone. 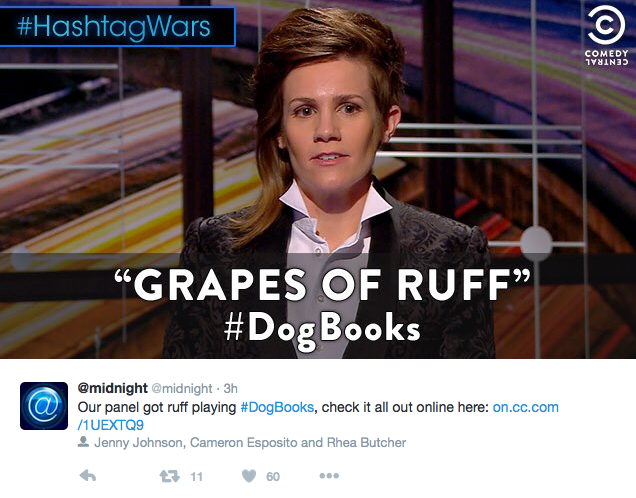 See the heartwarming reviews in Brainpickings or Modern Dog! Have you ever wondered how Dean Koontz pumps out all those mystery novels? perhaps he has a ghostwriter…dog? Whatever the case may be, if you want some good old-fashioned advice from this hot new dog columnist, then check out Koontz’s latest, Ask Anna: Advice for the Furry and Forlorn. The Magical Fantastical Photicular #Safari Book! I came across the new SAFARI: THE PHOTICULAR BOOK (Workman Publishing) at a local indie bookstore — and it just seemed to pop out at me! Created by Dan Kainen and Carol Kaufmann, this ingeniously-designed hardback will make all wild animal lovers feel like kids in a candy store! A Son Moves Out and Gets Replaced By Family Dog? Somebody on the Internet has compiled a Tumblr blog of the most unintentionally — or maybe intentionally — hilarious self-published ebook covers that have appeared on Amazon. And what surprised me was that a disproportionate amount of these tomes seem to be animal books!